Dr. Kenny Southwick will retire from the Shawnee Mission School District at the end of this year. 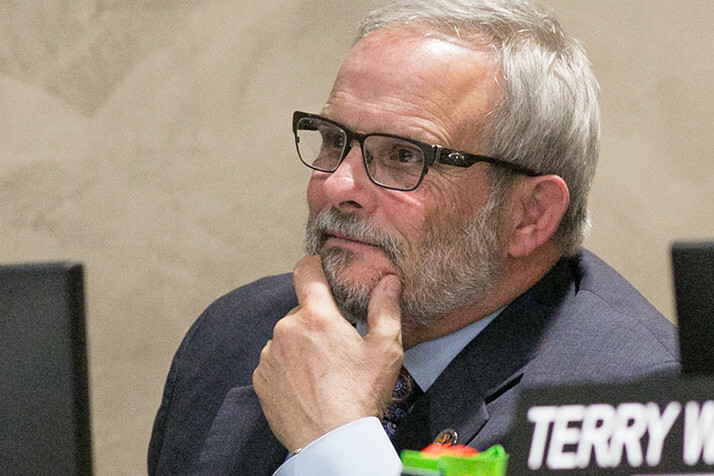 Dr. Kenny Southwick, who oversaw hundreds of millions of dollars worth of construction projects during his five-year tenure here, announced on Thursday that he will retire from the Shawnee Mission School District this summer. Southwick said the decision came in part as a result of the administration’s need to fill a gap caused by a significant reduction in funds the district receives under the Title 1 program the past few years. First-year Superintendent Mike Fulton and other central administration staff indicated on Thursday that they planned to announce a cost-saving reconfiguration of the organizational chart later this month. Southwick said he wanted to give Fulton “the freedom to look at” how reworking the structure of the higher administration could held protect services for students. Southwick said that he was “completely at peace” with the decision and that Shawnee Mission had made a lasting impression on him. Fulton and members of the board took the opportunity to thank Southwick for his service at Thursday’s board of education meeting. 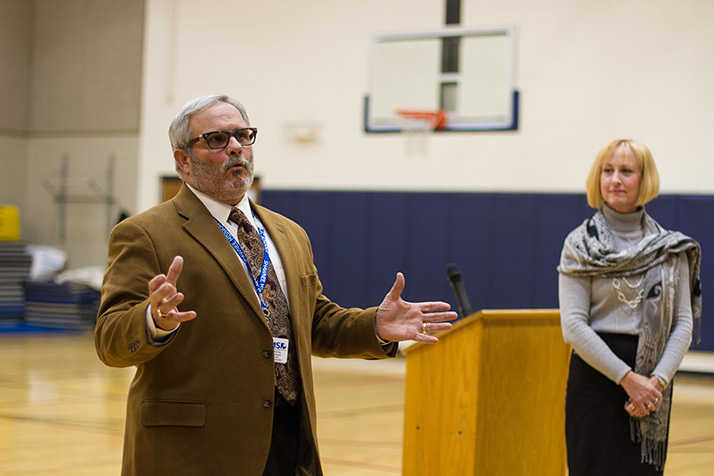 Dr. Kenny Southwick at a meeting with Briarwood parents in 2015 discussing the plans for reconstructing the school. Former Superintendent Jim Hinson brought Southwick to Shawnee Mission as his deputy in spring 2014 and tasked him with overseeing a massive capital improvement initiative made possible by the voter-approved $233 million bond issue in January 2015. Southwick had already enjoyed a long career in the Belton School District, including 12 years as superintendent, when he retired there in 2010 and started working as an educational planner for ACI Boland Architects. That experience with school building design and construction was well employed here in Shawnee Mission as the district set about updated aging facilities, including the construction of six new school buildings, the renovation of SM South District Stadium, and the installation of modern security systems in schools. The work also included the new, state-of-the-art aquatics center under construction at Lenexa’s City Center. Southwick has also served as the district’s lead negotiator in annual contract negotiations with the National Education Association – Shawnee Mission the past few years. Following Hinson’s unexpected retirement in spring 2017, the board tapped Southwick to serve as interim superintendent for the 2017-18 school year as it searched for Hinson’s full-term replacement. Southwick was the district’s top leader during last April’s National Walkout Day demonstrations, when administrators’ alleged attempts to discourage students from specifically mentioning gun violence and gun control led to a law suit filed by students who said their 1st Amendment rights had been violated. The suit initially listed Southwick as a defendant in his capacity as an individual. However, a federal judge on Monday dismissed claims against Southwick specifically while allowing the bulk of the suit to move forward. The parties are scheduled to meet today with a judge to discuss potential settlement of the case. The retirement agreement accepted by the board of education on Thursday will have Southwick working and taking a salary through July 4, 2019. He’ll receive a lump sum payment for unused vacation time, but will not receive any special exit compensation.